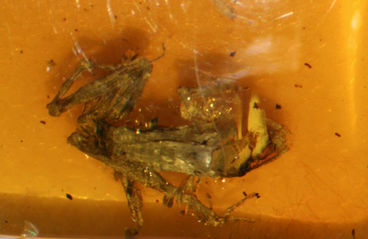 Ancient Tree Frog Found Encased in Amber! AWESOME INDEED RACHEL THANK YOU! Now, I'd like to see this story on CNN and all the other news networks. Wow Rachel, this is a find of a lifetime, I have seen animals encased before, but not a frog. I wonder what museum will have it for display.